“We in Amherst strive to be a vibrant, vital community,” Mayor David Kogon said. 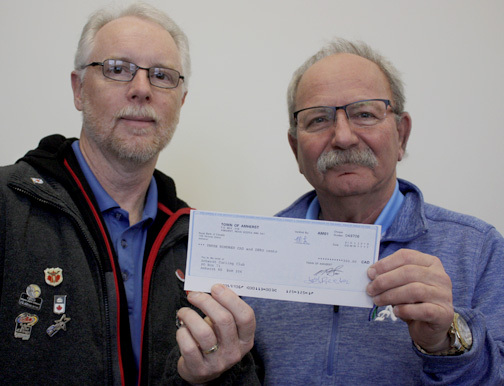 “Having the provincial women’s curling club championship in our community helps us achieve that goal. It also helps us show that Amherst truly is a great place to live, work and play. The championship, which was formerly known as the Women’s Travelers, is being held at the local club, located at 45 Prince Arthur St., from Feb. 28 to March 3. Amherst is being represented by a team led by skip Kathleen Trites. Other team members are Tiffany Cuthbert, third, Lisa Gilbert, second, and Wendy Graham, lead. The winner of the championship will represent Nova Scotia when the Canadian Club Curling Championships are held next November.